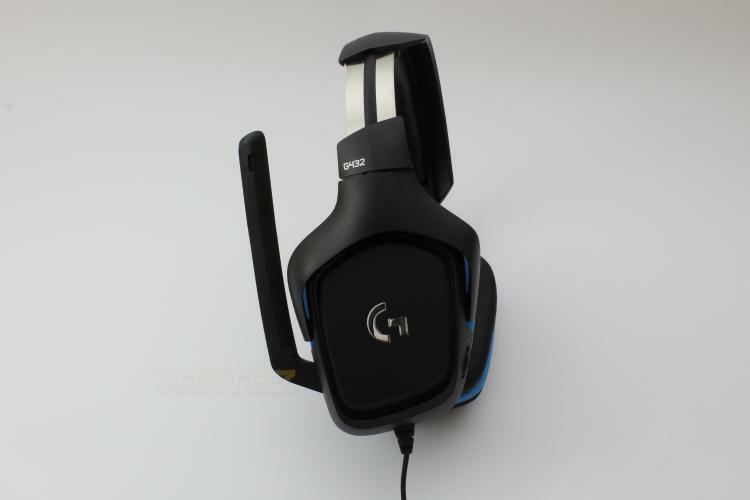 Logitech have recently released the Logitech G432 to bring their gaming headset line up into the modern era. Much like its predecessor the Logitech G432 takes aim at the mid-tier, at least in its pricing, of modern gaming headsets. Logitech have also made the decision to move the in-line controls onto the left ear cup but have chosen to use a non-detachable microphone. Included with the G432 is a 3.5mm to USB adapter as well as a 3.5mm microphone and audio splitter so we can assume connectivity will never be an issue, however utilising the USB adapter is recommended as this allows you use the Logitech G Hub software whereas the 3.5mm wire alone does not. There seems to be no design changes made from the G430 barring the change from foam ear cups to a leather effect material, and a slight taming of the electric blue that was featured previously. Featuring 50mm drivers to help produce a more complete sound, as well as DTS Headphone: X2.0 support, our expectations for the audio side of things are set high and it seems that Logitech have adopted the design philosophy of if something isn't broken, don't fix it, and we tend to agree, but the question to be asked is are the changes that they have made positive or negative? Everything about these headphones is about comfort: The Deluxe lightweight leatherette ear cups and headband are made to keep pressure off your ears, The Ear cups rotate up to 90 degrees for convenience. Conveniently and quickly adjust volume on any platform with the ear-cup mounted volume wheel.